Published on August 16, 2018 in Australian News, Branding, SEO and YouTube Videos. 0 Comments Tags: Father's Day Campaign, Red Balloon, TV Father's Day. Every once in a while “you know you’re Australian” when you see an ad that with our unique sense of humour. Ultimate Edge Communications hit the nail on the head for Red Balloon’s recent Father’s Day Campaign. Published on November 2, 2017 in Australian News, News and YouTube Videos. 0 Comments Tags: Gun Laws, US Gun Control, US Gun Laws. Australians will always struggle to understand the US guns laws (or lack thereof). The video below partially explains why. Don’t mess with our kangaroos! Published on September 14, 2015 in Australian Jokes, Fun and YouTube Videos. 0 Comments Tags: Drone And Kangaroo, Kangaroo kicks drone. Published on August 13, 2015 in Australian Jokes, Fun and YouTube Videos. 0 Comments Tags: Man Flu, Man Flu Commercial. Attention Australian Man Flu Sufferers! Published on December 25, 2014 in Australian Jokes, Cool Websites and Blogs, Fun and YouTube Videos. 0 Comments Tags: Best Blogs, Best Posts Of 2014, Top Blogs. Published on October 3, 2014 in Fun and YouTube Videos. 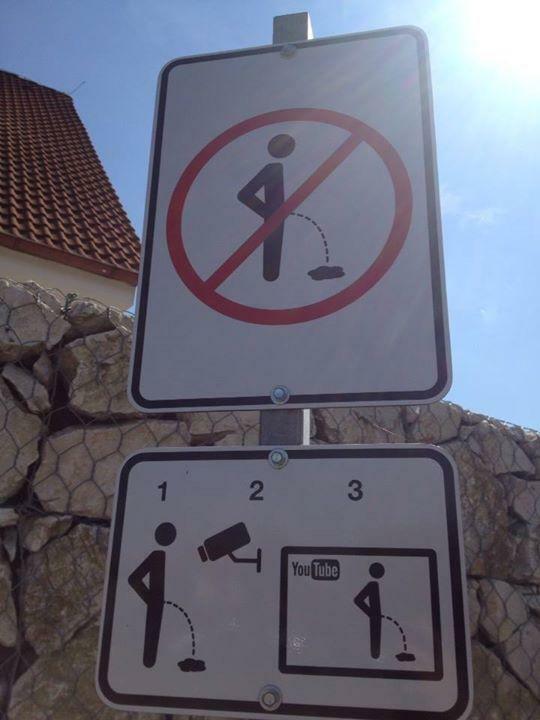 0 Comments Tags: Public Urination Solution, Social Media. I have often blogged a contrarian view of social media. Advocating social media is more about identity theft and piracy than social collaboration. I even argue against the business case for small businesses. Published on November 20, 2013 in YouTube Videos. 1 Comment Tags: Graffiti Australia, Graffiti Removal. I’ve blogged about graffiti statistics In Australia, the dangers of graffiti, the costs of graffiti in Australia and whether or not Graffiti is art or vandalism. But today it’s about a really cool video from The Graffiti Eaters who remove graffiti quickly and effectively – enjoy! Published on August 8, 2013 in Fun, General and YouTube Videos. 0 Comments Tags: Fun Facts, Geek Week, YouTube. This video was produced for YouTube’s Geek Week — we do live in an awesome world! Published on September 30, 2011 in Fun, General and YouTube Videos. 4 Comments Tags: Australian Cloud, Cloud Surfing, Unique Cloud Formations. If you’ve never seen this uniquely Australian phenomenon, watch the video and be amazed at what Mother Nature can create… Gives a whole new meaning to “Cloud Surfing”. Published on August 24, 2011 in Australian News, Research and YouTube Videos. 7 Comments Tags: Graffiti, Graffiti Removal, Graffitti, Grafiti. In the early 1990’s Western Australian State Governments attempted to address graffiti proliferation using various methods and management models. Despite this public concern continues to grow and so does the burden of state-wide graffiti removal costs. A tougher approach, which focuses considerable effort on offender management and behaviour, has now been adopted. A State Graffiti Taskforce has been established to deal with the problem. Graffiti removal costs have been estimated at up to $30 million dollars per year within Western Australia. However, this figure is likely grossly underestimated due to the difficulty in obtaining an accurate cost largely to the nature of graffiti offences, its reporting and removal. It is estimated that it costs Australians half a billion dollars a year to clean up graffiti. The police are fighting an ongoing battle and the Public Transport Authority has resources in place with 1200 cameras spread through the system at stations and platforms. According to the government, graffiti costs the NSW economy and taxpayers more than $100 million a year. Published on July 1, 2011 in Australian News, Blogging Ideas, Cool Websites and Blogs, Fun and YouTube Videos. 0 Comments Tags: Opera House Cake, Sydney Opera House Cake, Time Lapse Video. As Australians we are proud of our landmarks – especially the Sydney Opera House. t is incredible to see a weeks worth of work in a short snapshot like this. It is a privilege to get a behind the scenes look inside Australia’s Number One cake kitchen, Planet Cake. Raw Data Is Valuable, In Fact It Can Save Lives! Published on April 15, 2011 in Case Studies, Exponential Mindset, Research and YouTube Videos. 0 Comments Tags: Open Data Movement, Share Data Openly, TED Talk. This TED TALK by Tim Berners-Lee is another classic example of Antimimeticisomorphism in action. I won’t spoil the presentation for you except to say it’s amazing what smart people can do when they put their minds to it AND the data is available. Published on April 21, 2010 in Blogging Ideas, Blogging Tips, Fun and YouTube Videos. 1 Comment Tags: Billy Joel, We Didn't Start The Fire. I’ve blogged about how to get MORE people to your blog… The best way is to SHOW you by getting YOU to get MORE people to my blog… Here’s another link you’re going to want to send to your close friends, family and colleagues. Here it is, set to pictures … It’s a fabulous flashback through the past half century. Turn up your volume, sit back and enjoy a review of 50 years of history in less than 3 minutes! Thanks to Billy Joel and some guy from the University of Chicago with too much time to Google! I wonder how many of the images those under 40 will recognise from the early part of the song?? You might have to watch this more than once. This was sent to me by Gavin Altus, Executive Manager Development at Engineering Education Australia. Thanks Gavin for sharing! Don’t wear a seat belt? Published on February 26, 2010 in General and YouTube Videos. 1 Comment Tags: Seat Belts, TV ad, TV Commercial, Wear Seat Belts. WHY you should always wear your seat belt. Merci to Andrew Powell of Montreal Canada who sent this to me! Published on September 11, 2009 in Blogging Ideas, Blogging Tips, Business Growth, Exponential Mindset, Fun, Internet Strategies, Lead Generation, News, Research, SEO, Traffic Strategies and YouTube Videos. 0 Comments Tags: Facebook, Internet Marketing, Linked In, LinkedIn, Social Media, Social Media Revolution, Social Networking, Twitter. As you know by now, my short blog posts are rare. This is one of them. This YouTube video is a must watch for anyone involved in Internet Marketing. It is absolutely priceless. I know you’ll want to watch it more than once and forward this blog link to colleagues and friends. Published on April 12, 2009 in Fun, General and YouTube Videos. 0 Comments Tags: Marc Dussault, YouTube Video.